I find artists that I love in many different ways – local galleries, magazines, social media… Though there’s one artist in particular that never needed a formal setting to catch my eye. In fact, it is her work that pulls you in itself. It has gazed at me as if I were the one being studied. 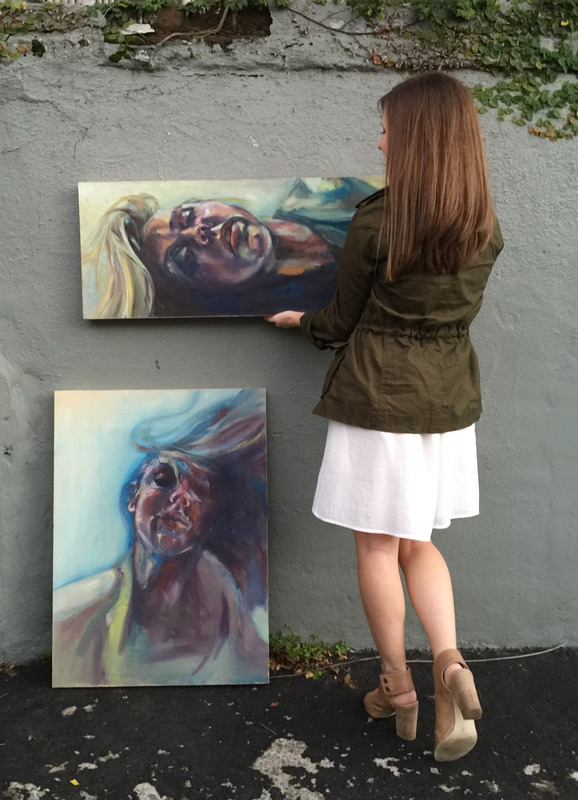 Meet local Charleston artist, Natalie Taylor Humphrey. A true fashion-guru with an eye for a killer collage and a hand that doesn’t stop creating even after the eighth repeat of her Dave Mathews playlist (or when her college roommate turned off the lights – yup, that’s me!). I’ve known Natalie for five years and she continues to surprise me. Her impressions of all things crazy still make me laugh and her never-ending pool of inspiration spreads wider and wider. Perplexed by the question, “Who is she?”, Natalie employs the use of wonder and mystery in her designs. The artwork lacks information referencing time and place, creating ambiguous scenes, that ultimately asks the audience to fill in the gaps with their own personal experiences. Over oysters and cheap wine, we discuss her latest collection of fashion sketches and collages. Natalie creates her pieces to be dynamic in the sense that they’re not perfect, but they’re more about capturing the woman wearing the fantastic dress or the girl behind the store window. Her work is based on trends, patterns, and time-specific styles. It is truly seasonal in the sense that there is always something fresh springing from her collection. Her most recent body of work draws inspiration from everyday life and depicts the beauty of ordinary moments we normally overlook. Recently published in Charleston Style and Design Magazine, Winter 2014, Natalie continues to grow her portfolio into something sassy and relatable. Her fashion sketches have become one of my favorite pieces of art in my home. I even had the privilege of getting my hands on her – yet to be released – latest work and have featured some of my favorites from the past and present below. 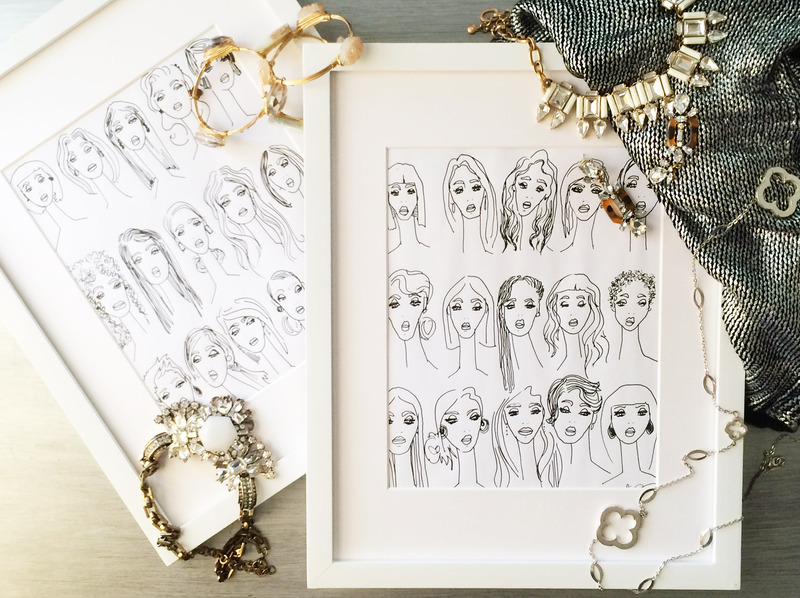 This weekend only, Natalie will be giving away one of her extraordinary fashion sketches – just in time for the holidays! 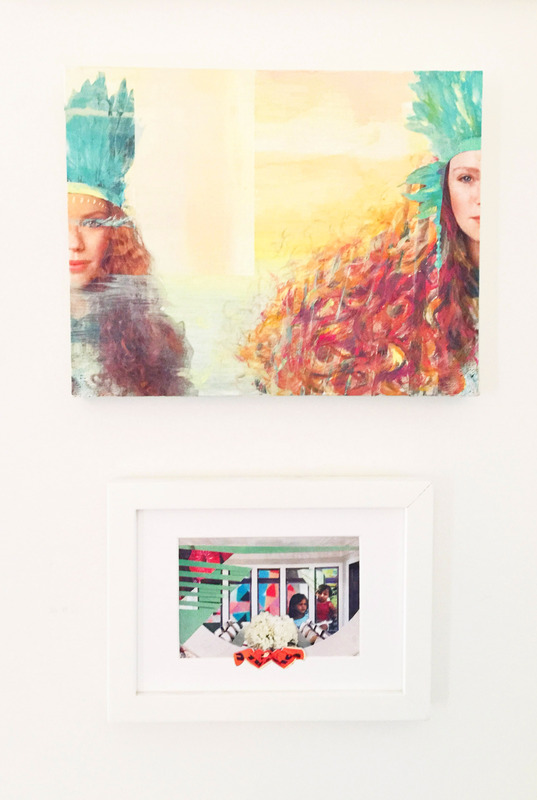 For a chance to win her original work, follow @blancblog and @natalietaylorhumphrey. Like today’s feature post and tag a friend that you’d like to gift it to! The winner will be announced Sunday, December 21st. One last note: Natalie Taylor will be having a 20% off sale on her website this weekend only! Check her out! I absolutely love her work!! What a wonderful article on an incredibly gifted artisit!